OK rebuilding my motor due to a apparent woodruff key failure on the timing gear. Considering upping to an 84mm crank. Been offered very low milage 48 idf 's for my 45 Del's. Not fixed on a can choice but looking for any ideas or comments. Looking to also move away from using this as daily motor all year round & consider running my spare engine more during winter. If it's going to more of a race motor then the 48's are perfect. As for the cam, the webcam 86c is a very good cam for high rpm, doesn't do much before 4k but will hang into 7500-8000rpm no problem. If money us no object then a JPM Raptor cam is the way forward and worth another 20-30 hp over a "normal" cam - not cheap but the best you can buy. Funny that, money is an issue at the mo but engines always seem to come first. Then decided to buy a new DPR 82 crank, which jim will do all the above work to. Now that I'm considering taking a little longer and build something better. Currently have a new fk8 to replace what I had but could hopefully exchange that up. Only have my bus for transport but realizing I need look after this size motor in terms of milage. Having the other motor stock or mild with heat exchangers will be nice during the winter commute. 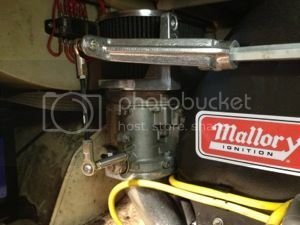 Plus give time to freshen up big engine each season.